It’s that time again. Your mattress has worn down and you need to buy a new one. It has been so long since you went mattress shopping (or it’s the first time you’re doing it alone). Do you even know where to start? 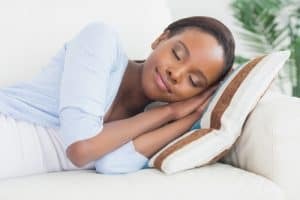 How do you pick the right mattress store in San Diego? San Diego is full of choice, but before you rush in and buy the first thing that you see, consider your health first. We sleep a comparatively large portion of our lives. This means that your new mattress will be a big part of your life. Like your shoes, or your office chair. You wouldn’t pick the wrong type of shoe to wear to work, would you? Do you need steel-toed work boots if you work in an office in San Diego; or high heels if you are a professional athlete? Probably not; so, pick your mattress according to your needs. 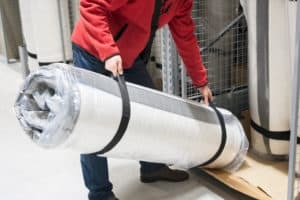 Don’t know where to start when mattress shopping? 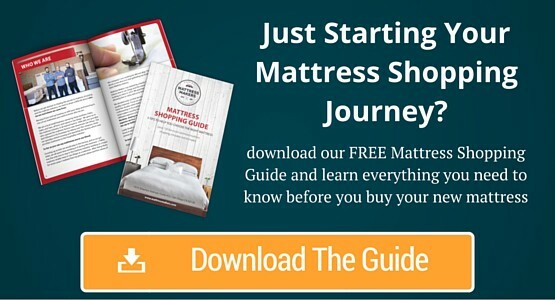 Download our free mattress shopping guide and become a mattress and sleep expert. I am talking about mattress firmness. Different sleeping positions do different things to your body while sleeping. Some mattresses are better suited for some kinds of sleepers. There are three basic types of mattresses according to firmness. Their names are fairly self-explanatory, but bear in mind that not all stores will use these words; and not all stores have the same scale of measuring firmness. It is paramount that you test out the mattress prior to purchase. This is how you ensure that you get what you are looking for. There are, of course other types, but they are either subtypes of these three broad categories, or combinations of them. They will play no role in the mattress selection process. People who sleep on their back are the easiest people for shopping for mattresses. Their natural sleeping position keeps their spines in the correct ‘s’ shaped position, so no health implications may arise from choosing different firmness of a mattress. The only thing they need to take into consideration is their own personal preference. A little piece of advice, though; put a pillow or a cushion under your knees. This will help with the whole ‘correct posture’ thing mentioned above. Side sleepers press upon the mattress below them with two key points – their shoulders and their hips. This creates two points of high pressure. If you had a firm mattress, it would cause discomfort, resulting in inadequate sleep. Having a soft mattress is optimal, as the mattress itself re-distributes the pressure created at the focus points of your shoulders and hips. Alternatively, a medium mattress is acceptable if you prefer a bit firmer bed. This is said to be the unhealthiest sleeping position. Since most of our weight is in our stomachs, having it weighing us down makes proper posture and spinal position very difficult to attain. This is why you should not consider a soft mattress. It would only facilitate the unhealthy spinal position in a ‘u’ shape. Having your spine bend that way is a sure way to get neck and back pain. Stick to a firmer mattress. All of these are just suggestions which you can consider or disregard at your whim. They are, however, useful and can help you find your way in the world of choice. Speaking of choice, where do you buy a mattress? You truly have a world of choice when it comes to mattress shopping in big cities, such as San Diego. However, if you are looking for a manufacturer who uses organic and sustainable materials, look no further than Mattress Makers. What sets Mattress Makers from others is that there are no middlemen between you and the manufacturers. Our showrooms display our products, and if none of our designs match your desires, tell us, and we can work together to create your dream mattress.